Will bring a two-hour All Women Comedy Show, to help us celebrate International Women’s Day. The evening will consist of five comics and a half hour intermission. Daina is an office worker by day, and afraid of eating meals alone in restaurants by night. Her material pieces the depth of the human experience, ranging widely from online dating to offline dating. Daina has performed as part of the Guelph Comedy Festival, and you can find her in and around Guelph delivering her special brand of comedy with the confidence of someone whose parents don’t know she performs comedy. Suzie is a Kitchener comedian who co-produce LOL a bi-monthly queer and feminist comedy show in Kitchener Waterloo as well as Rainbow Reels Queer and Trans Film Festival. She’s also known as your weird gay aunt who drinks wine from a cat mug and laughs too loud at parties. She’s performed at the Hillside Festival in Guelph and the Summer Lights Festival in Kitchener. Erinn is a comedian and podcaster who has appeared in the Guelph Comedy Festival, The North Bay Comedy Festival, Hillside Festival, Summer Lights Festival, and the On the Edge Fringe Festival. Erinn has written and performed two solo shows, Unorganized Territory (2015) and Resting Nice Face (2016.) 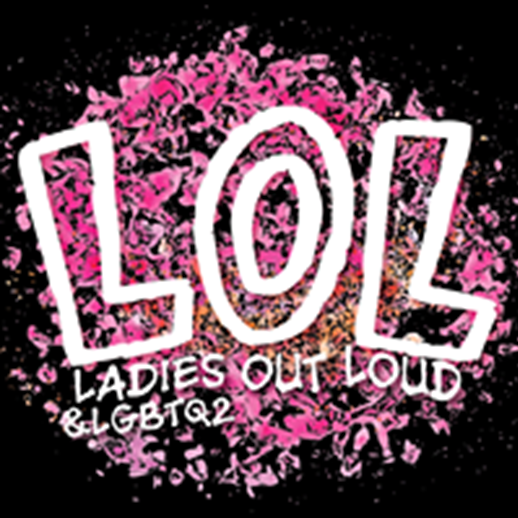 She is co-producer of LOL (Ladies and LGBTQ Out Loud,) a stand-up comedy series in Kitchener Waterloo. Sarah travels between Toronto and Kitchener, but she really lives in a constant state of worry. She co-produces Queerly Beloved, a stand-up comedy event at Guelph PRIDE. Sarah is a past winner of the Montel Williams award for video production, which is apparently a thing, she is also a fan of run-on sentences. Sandra is a writer, director, performer, producer, and aspiring farmer. Sandra is a recipient of the Order of Canada.